Home / Blog / How to Get Top Cash for Toyota? Are you selling Toyota & living anywhere in Queensland? QldWreckers can pay you up to $15K cash for cars & offer a free pickup facility if required. Toyota is a highly recognised and bestselling auto manufacturers across the globe. Being known for its reliability, it manufacture impressive automobiles. However, automobiles don’t live forever regardless of their popular model or brand. Even if you have a Toyota make or model, you will start observing problems in it at some point. Struggling Selling Your Broken Car? 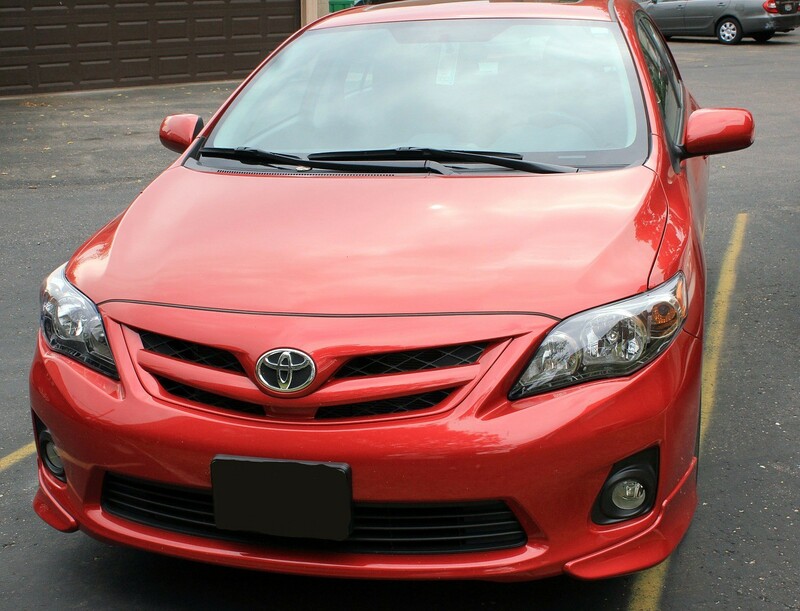 If you are currently struggling to sell your old or broken Toyota, you will sure want an incredibly fast option. Maybe your automobile is a complete scrap and irreparable. Or, it has been recently in a major collision and announced as written off by your insurance agency. It doesn’t matter why you intend to sell your Toyota, you can get a really effortless process by contacting Toyota Wreckers @ QldWreckers. We will take away all the trouble by buying your junk vehicle and removing it promptly. Whether you have an old Toyota, van, car, truck, SUV, 4WD or Ute, we will be happy to pay top cash. Not only has this will our responsive team actively take care of the entire Toyota removal process. This includes everything from offering fair price estimate, inspecting the vehicle personally to hauling it away with no delay. When it’s time to sell a vehicle every owner wants to get the maximum price. Regardless of the damage in your wheels you can get the best cash by simply selling it to us. At QldWreckers, we are trusted to meet the expectations of every old auto owner in terms of cash. And, when it comes to acknowledging brands like Toyota, we guarantee to pay the highest possible money. The final valuation will be done according to the objective information of your automobile. It includes the make, model, year of manufacturing and condition. If your used automobile is in a perfect working-order, we will happily pay up to $15K. Getting a fair valuation is always helpful whether you are selling a junk, used or new vehicle. It is a great way to determine the level of cash you will be ready to accept. Moreover, you will be able to earn useful money while getting rid of your old vehicle. And, you can get an instant auto valuation very easily by connecting with us. Just begin by making us a call at: 0416615100. Otherwise, you can straight away visit our website and fill out the “Get a Quote”. Our friendly representative will get back to you with instant cash quote in no time. There is no pressure to accept our quote. When you contact us, you will get the most convenient and flexible car removal service in town. There are no extra costs related to our junk auto towing service. Instead, we will leave you with maximum possible money at the end of the removal process. In our Rocklea salvage yard which is located @ 50 Macbarry PL we wreck automobile for their useful parts and metals. That’s why we are always eager to buy a vehicle with any kind of damage. This means there are no restrictions for the condition of automobile we take. So, if your auto is wrecked, junk, broken or busted, it won’t increase the hassle in selling process. Since we intend to help as many junk auto owners as possible. We make sure to take every Toyota make and model that is brought to us. By not doing so, we will be disappoint a lot of good folks. This will also lower down the credibility we have earned so far. This is why we passionately accept every model of Toyota like Avalon, Corolla, Highlander, MR2, Matrix, Tundra, Yaris, FJ Cruiser, 2000GT, Venza, Prius, Tacoma, Land Cruiser, Sienna, Ace, Hiace, Rav4, Hilux, Master Ace, Camry, and more.